Kyra is a 16-year-old girl with a golden smile! Watch Kyra’s feature on Wednesday’s Child. She is a dynamic young lady with a lively personality. She is fun-loving, sassy, independent, and self-assured. Kyra is waiting for a forever home that will allow her to continue to blossom into adulthood. Like many teens, Kyra enjoys Anime, music, and drawing. She is very artistic and enjoys applying these skills into fashion and hopes to work in the design industry one day. Her other hobbies include playing the violin, styling her hair and painting her nails. Kyra is very compassionate and feels people should always be considerate of others’ feelings. She has a deep dislike for bullying and is always ready to speak up against it. 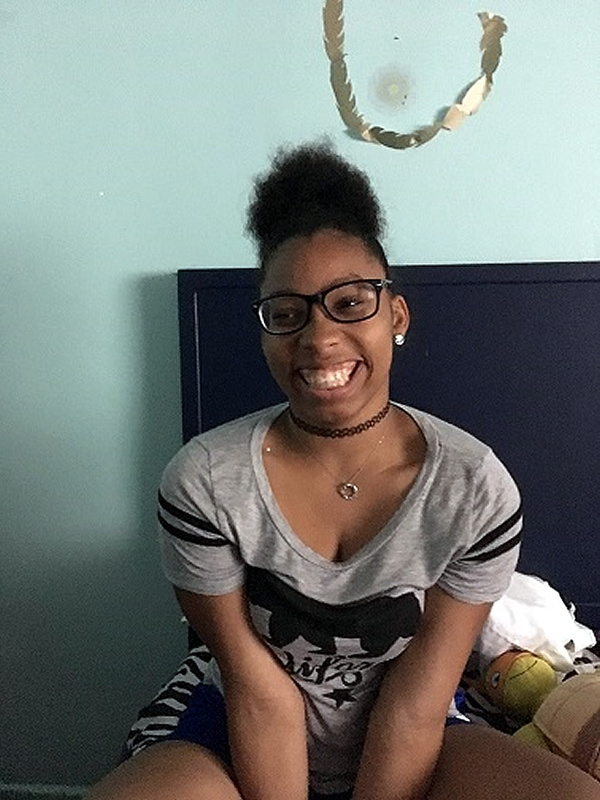 Kyra is currently attending a non-traditional school because she needs one-on-one assistance with school work. She is continuously learning how to express her feelings in a mature manner and has made significant progress with positive coping skills. Kyra needs a loving family who will support her dreams and goals. Could you be the family Kyra is seeking? Help Kyra find a family, share her Advocacy Flyer.